Lodge Manufacturing is a manufacturer of cast iron cookware in continuous operation for more than 120 years. The company’s products are shipped worldwide and sold through big box stores, hardware stores, specialty retail outlets and through online e-commerce. For many years, the original Lodge foundry and a 40,000 square foot warehouse and distribution center kept pace with demand, but in the mid-1990’s business began to increase dramatically. A foundry expansion, followed by construction of a second foundry and a new 212,000 square foot distribution center, provided the capacity the company needed but there were many critical decisions to make in configuring the new DC. 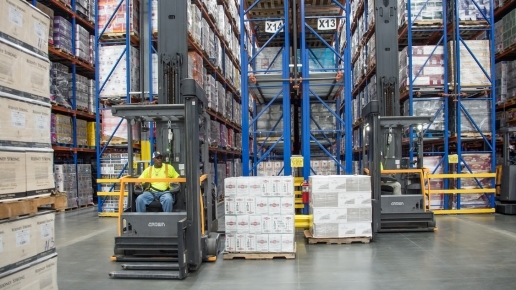 Bariani Olive Oil, an organic olive oil producer that maintains its own farming and bottling systems, realized its older counterbalance forklifts weren’t able to keep pace with its growth and the increased demand of its busy harvest season. 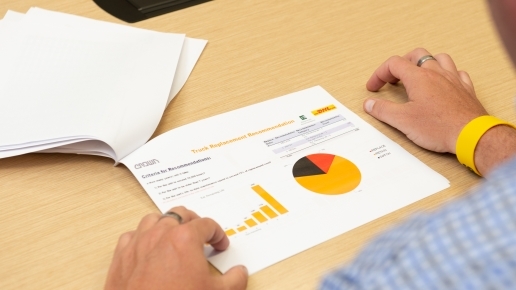 The company turned to Crown Equipment, one of the world’s largest material handling companies, to help increase efficiency and productivity.